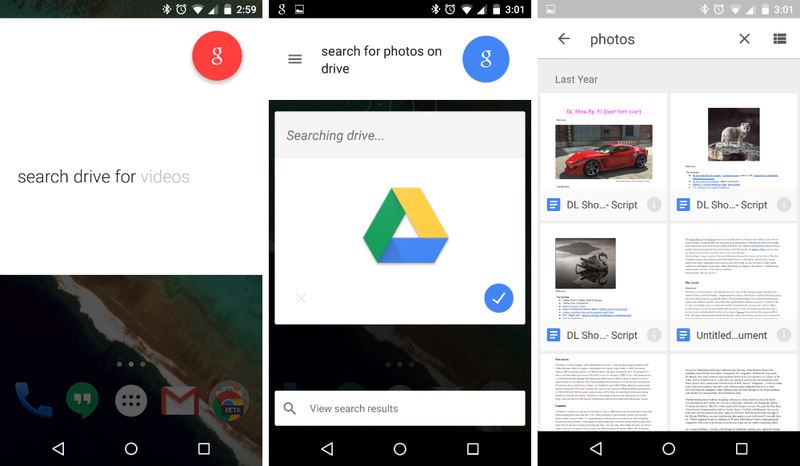 If you needed an easier way to search through your Drive account, instead of manually opening and typing in what you need to find, Google has enabled users to simply state “Ok Google, search for xyz on Drive,” with results then taking you straight into the Drive app without you having to lift a finger. After testing it myself, I was quite happy with the results. After a search for videos, it pulled up the few mp4 files I have on my Drive. I also searched for photos, which showed me our DL Show scripts, which feature random photos from around the web. If you need to find a specific file, you can that as well by stating the name of the document you need, with Drive having no problem doing that either. In order to utilize this feature, you should be running the latest build of Drive, which is rolling out now on Google Play.